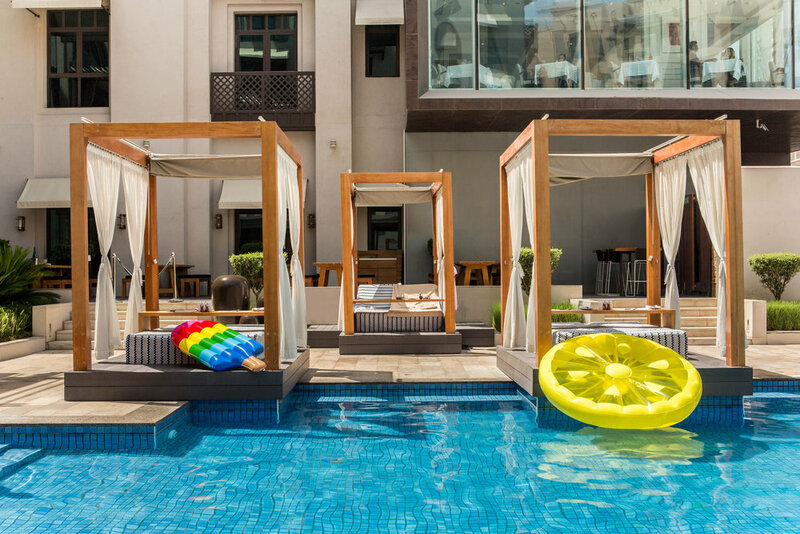 Price: AED 295 brunch with unlimited soft drinks; AED 345 brunch with alcohol; add AED 100 per guest for a cabana by the pool. What's the vibe? Vida is among the most chic hotels in Dubai and has become something of a destination in itself . At Vida’s the ‘Urban Picnic Brunch’ continues exploring the Art of Picnic from different destinations of the world with the launch of its second edition, ‘Best of the Brits’. The brunch is British-inflected, as the name suggests and features everything from an Afternoon tea station to a pudding corner. 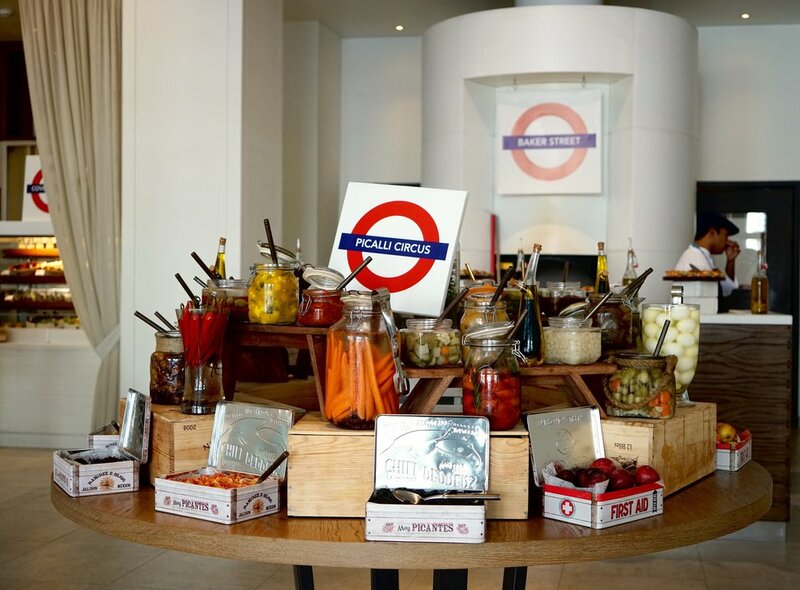 Thumbs up to their ambiance, inspired by a London underground theme, picnic style food presentation, all with an urban edge. 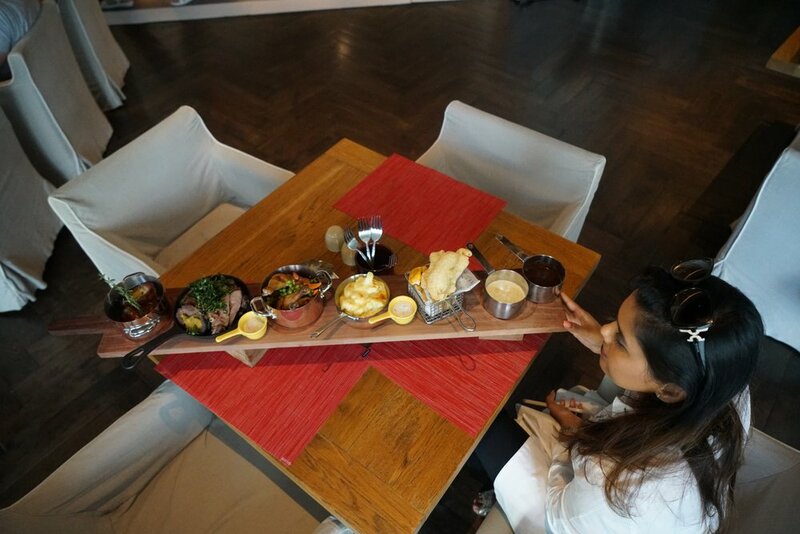 The atmosphere is communal, with indoor and alfresco seating options. What kind of food do they have? Beyond the endless array of salads, appetizer, finger sandwiches and freshly baked scones the buffet definitely speaks to diners with an English accent. You start your journey with an oyster card and follow along different Tube Stations, first stop at ‘Grape Manor’ (where you help yourself to, flavored iced tea, Pimms or bottles of wines) you then make your way through ‘Vida Town market’ ,‘Covent Garden’ (serving appetizers, salads, cold cuts) ‘Bakers street’ (serving the finest selection of breads and fresh pizza) ‘Piccalilli circus’ (with the largest selections of pickles on offer I've seen till date) ‘Sweet treat lane’( with classic English sweet), High tea road (with afternoon tea specials) ‘cheese yard (with a fine selection of British cheese). All of the above are fresh and inviting, but do save room for the mains, though, which, features classic English mains the likes of roasts, fish and chips, gravy all a sharing portion served directly to your table (which is ‘Main street’). In all honesty, I preferred the appetizers and other offerings to my mains. What could be better ? There are no real lows, other than the lack of a champagne brunch offer. Would we return? Most definitely, to enjoy the inviting cabanas, the promising weather ahead and to dig deep into the best of Dubai’s sticky toffee pudding here. The next time, you and your bae, are debating on a brunch to try, I suggest checking out this truly unique theme which will transport you straight to the streets of London and offer you a taste of Britain’s finest..